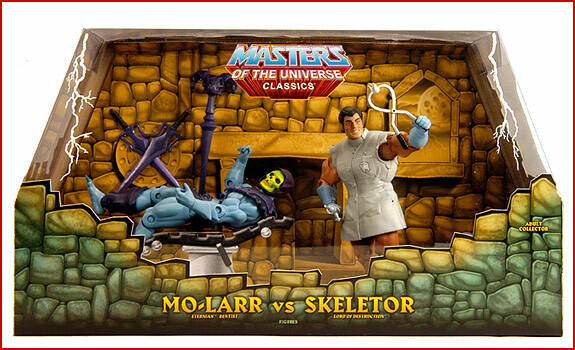 Matty Collector has announced a special sale for Mo-Larr VS. Skeletor on January 10. Run, Skeletor®, run … Mo-Larr, Eternian Dentist, is back in two brand new episodes of Robot Chicken! The first airs during the Season 5 premiere on Cartoon Network Sunday, January 9th. The second one airs the following Sunday, January 16th and reveals the secret origin of Mo-Larr. Heck, it’s so secret, even we don’t know what it is! 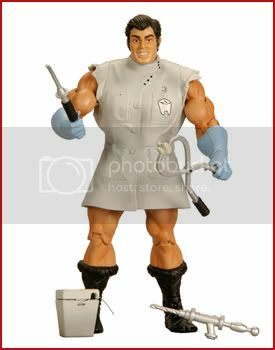 Mo-Larr is the Eternian Dentist! 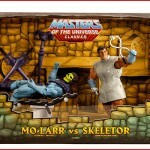 Mo-Larr VS. Skeletor will be available at both the SDCC & MattyCollector.com in July. Mo-Larr VS. Skeletor will cost $40. 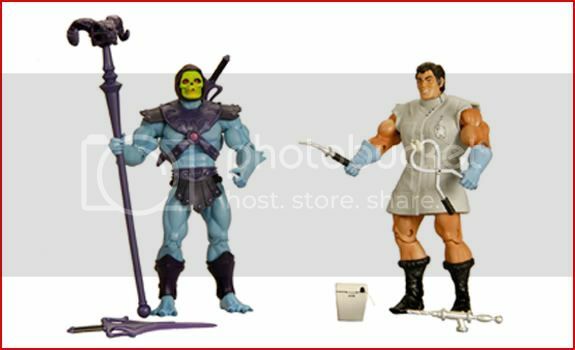 SDCC Orko & Mo-Larr are selling for grip!